We are at an interesting place in history. 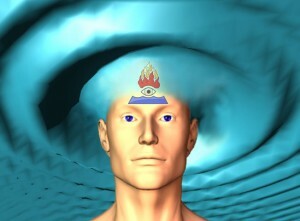 Science and spirit are coming together on a “fringe” topic- extrasensory perception. For thousands of years spiritualists, religious visionaries and mystics have spoken of “psychic” experiences. These run a wide gamut. Many have reported being able to sense or communicate with others across space, time and even death. People have reported factual information they become aware of in some way other than the 5 senses. Many have had the experience of a dream or premonition where they “see” something happening in the future, before it does in fact, actually occur. The examples go on and on. And many have had such experiences and never discussed them for fear of being ridiculed for believing in something so “preposterous”. But science is rapidly adding insight into what may be the substructure of extra-sensory perception. Quantum mechanics and string theory paint a picture of “space” as a seething cauldron of energy in a constant state of interchange- the quantum ocean if you will. We also know that human thoughts and emotions radiate as electromagnetic waves; We now have equipment sensitive enough to detect it. So the picture emerges of humans as being much like radio stations, broadcasting signals out into space. And we are rapidly learning how humans can also tune into and read those waves, much like a radio. Lynne McTaggart in her book The Intention Experiment does an excellent job of walking through some of the cutting edge science on this fascinating subject. She also has a very extensive bibliography of scholarly research from which she drew. I highly recommend her book to anyone who is interested in delving deeper. So what once appeared like fantasy and the stuff of legend and fairy tale, is on it’s way to looking much more like the very down to earth phenomenon of radio waves. The veil of mystery is being peeled back ever more rapidly. The real mystery is no longer whether it happens, but exactly how- how we are able to sift through ocean of thought waves and tune in to the particular signals that we do pick up. No doubt science will have much to say on the subject in the coming years. But from a consciousness standpoint, the significance of our growing pool of understanding, is a greater willingness of people to open up and share about their “psychic” experiences. There is also a growing hesitance on the part of “nonsensitive,” “grounded” people, to dismiss or ridicule those who are more “sensitive”. When there’s a rational, understandable explanation for what they experience, it’s a lot less “spooky” or “weird”. And with the more open sharing that is resulting, we have the opportunity to come to know each other better and share a richer dialogue on the multitude of flavors and wrinkles within this experience we call life.